Mizuno joins the crowded U.S. women's tennis shoe market with the launch of the Women's Wave Exceed Tour 3 and Women's Wave Impulse. In 2017, the Japanese running shoe and sporting goods company boasted $1.76 billion dollars in revenue. 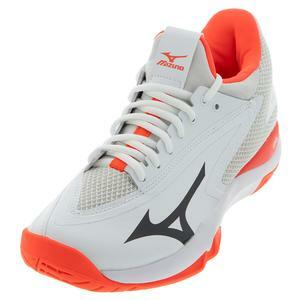 It was also in this year that Mizuno started making inroads in professional tennis, when top players like Kiki Bertens were decked out head-to-toe in Mizuno women's tennis shoes and apparel (Bertens has since signed with Fila as of January 2019). Mizuno controls a healthy portion of the running shoe market, and has brought their successful running shoe tech to the tennis courts. The Wave Exceed Tour 3 is designed to go head-to-head with the top performing tennis shoes in the sport. 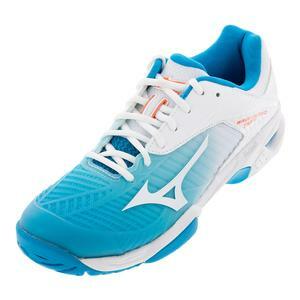 Billed as an all-in-one, encompassing power, speed, and stability, the Wave Exceed Tour 3 incorporates Mizuno's advanced experience and Wave technology from the running shoe market, and adapts them into a shoe optimal for high-performance tennis.